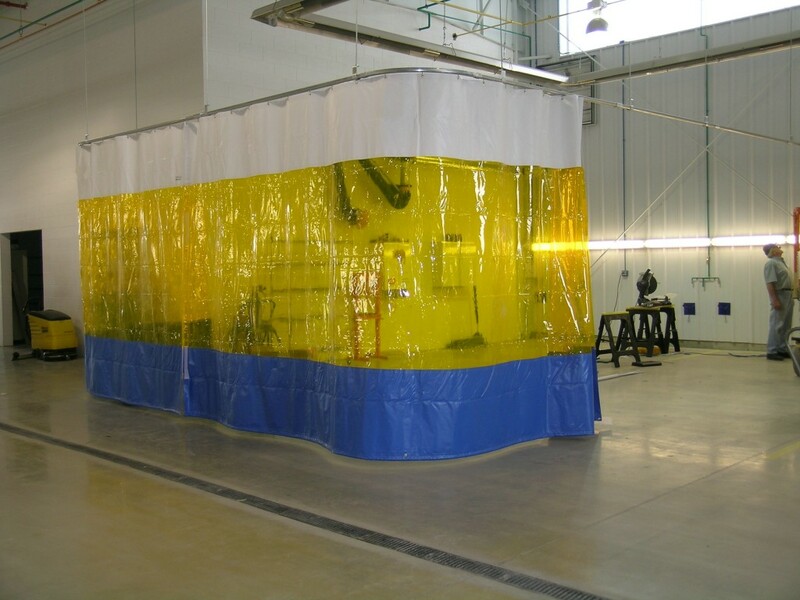 Self supporting fume arms provide an economical and effective method for the capture of fumes. Contaminants are removed at the source. 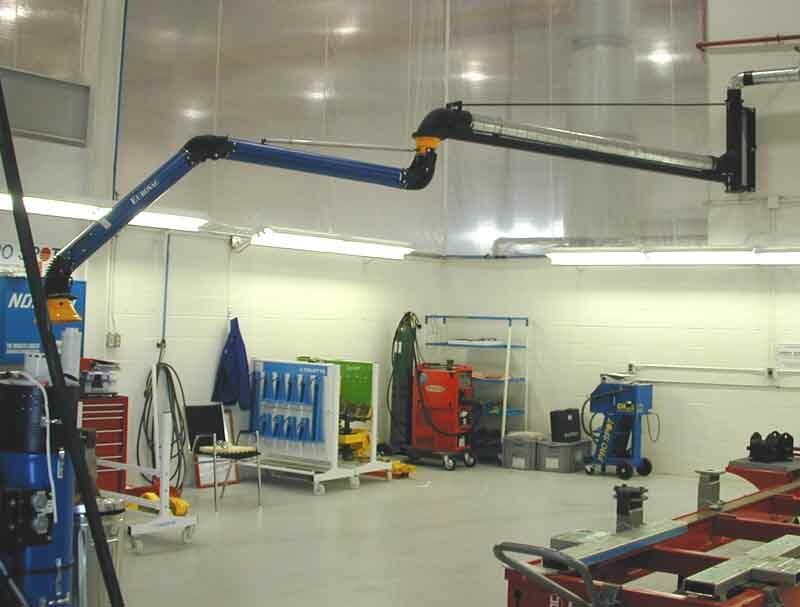 The use of self supporting joints, flexible hoses and smooth bore tubing allows for easy placement of the arm's hood near the source of the problem. 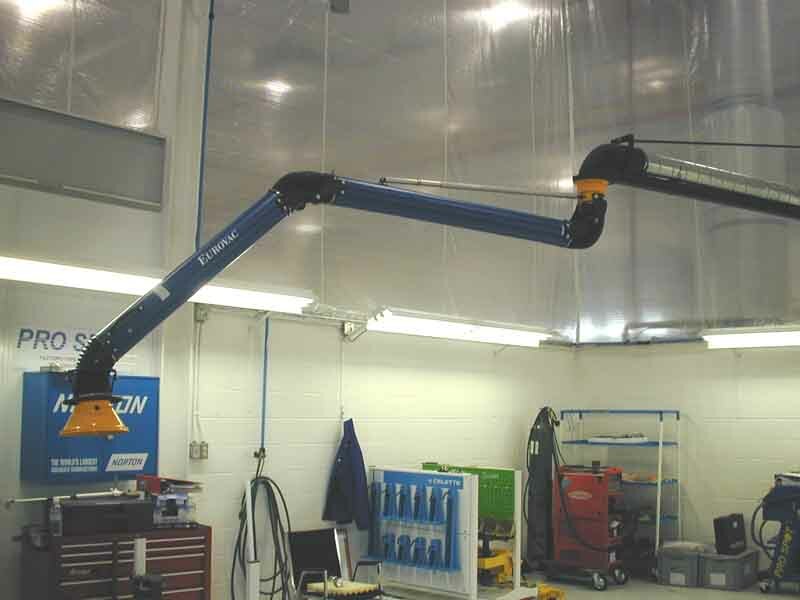 Fume arm tubes are fabricated of steel with cast aluminum joints which include a carbon fiber friction disc and are fully adjustable to the worker's desired tension. The arms include a handle which completely encircles the hood in order to facilitate easy repositioning from all sides. 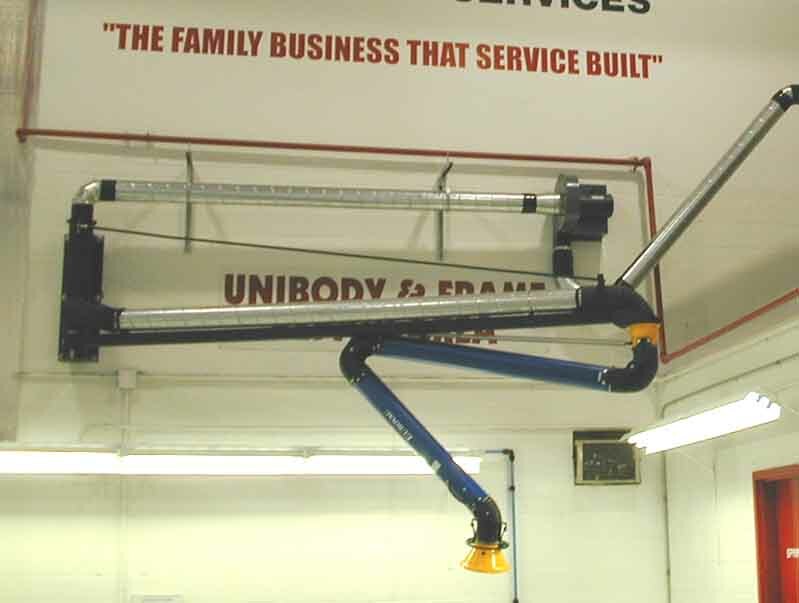 Hood diameters vary from 6" (160mm) on the 4" (100mm) arms to 14" (350mm) on the 8" (200mm) arms. All joints include a 2000 degrees F (1093 degrees C) rated hose which is gear clamped to the tube. All hoods are equipped for the installation of an optional light and sensor kit for on/off exhaust control. Swing the arm down to the area you will be welding. Here are some photos of a 14' long 6" diameter arm with a 14" hood. 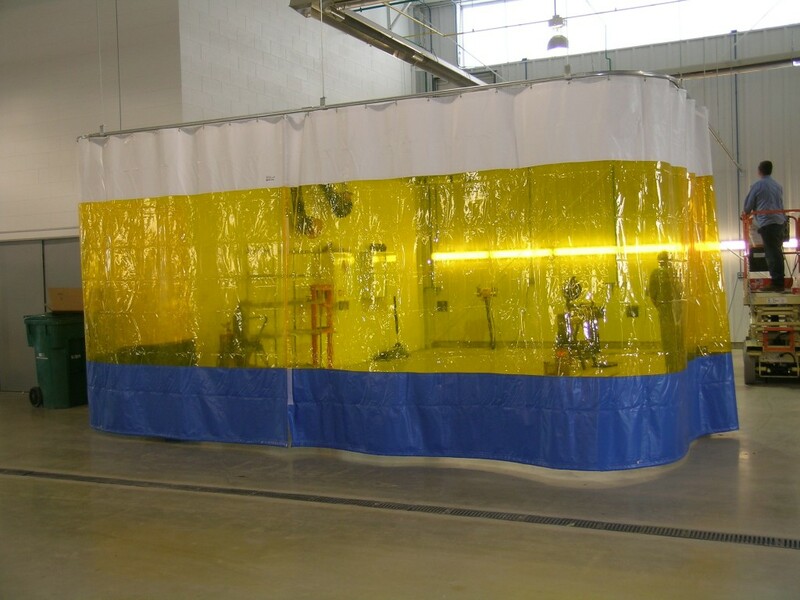 We also have Shop Curtains for Welding Areas. Need more reach? we can do that! You'll need Adobe Acrobat Reader to view it. If you don't have it already, get it here for free. This page last updated on Tuesday, March 07, 2017 08:55 AM .